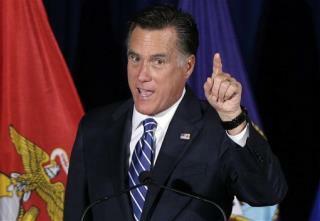 (Newser) – Workers for Bain-owned companies are hoping to turn one of Mitt Romney's proudest assets into a weakness. In a bus tour of swing states including Ohio, Pennsylvania, Florida, and Virginia, current and former employees of firms Bain has bought—from Burlington Coat Factory to Dunkin Donuts—are taking a stand against the company's practices, reports the Huffington Post. "Bain workers know firsthand what a Romney-Bain economy looks like," says the group's website. The thing is Romney took workers retirement funds. I don't think that is a quality The President Of The United States should have and I have a hard time understanding how he was OK with doing it. Making millions does not qualify one to be the leader of the free world. He's a Capitalist and Capitalism is only as good as the morality of the CEO of any company. He stole their retirement. Can you imagine being 3 years from retirement and having some suit telling you that the new owner took the money.